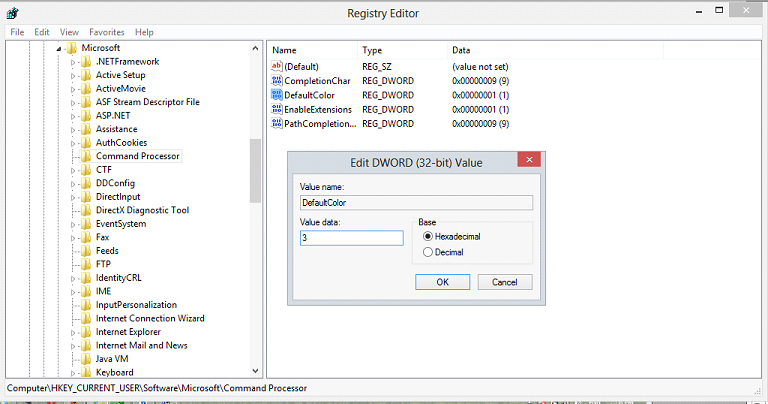 Step 3 :- you will find default color option in the right side, now you just double click on it, and change the value data 0 to any color code. 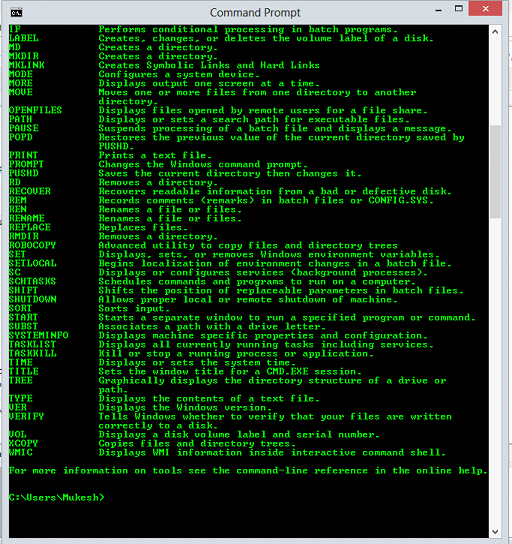 After changing the value you will see that font color of CMD changes as per the selected color code. 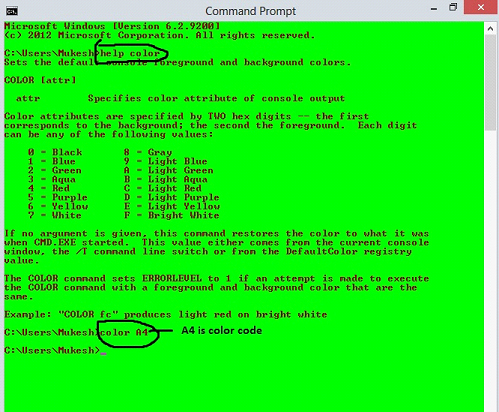 Step 1 :- go to cmd and type help color then it will show you all the colors code.